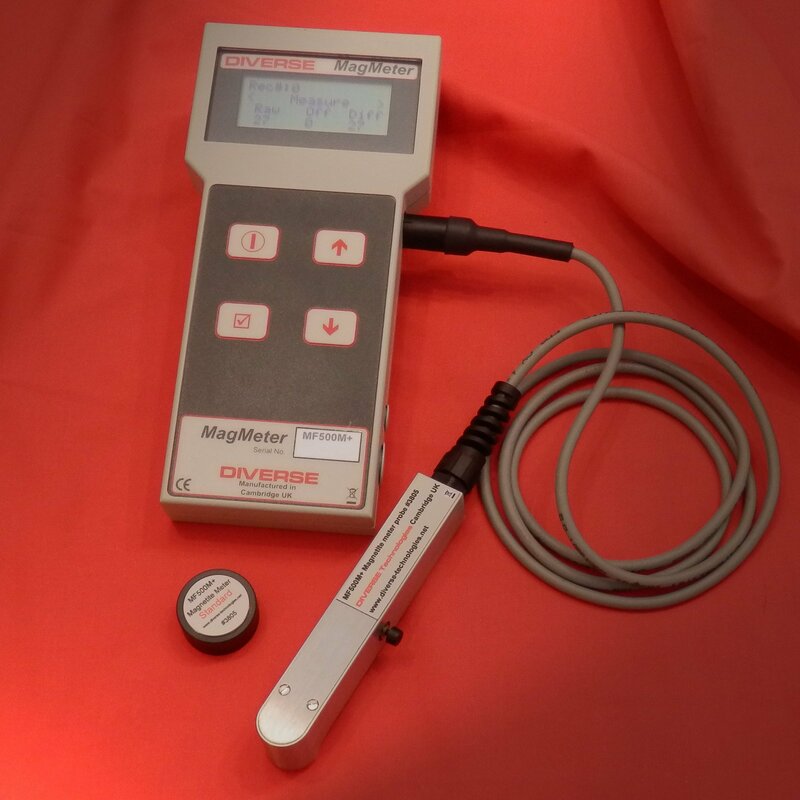 The Diverse MF300H+ is a hand held, battery operated Magnetic Field Meter with a rugged stainless steel Hall effect probe suitable for both laboratory and workshop use. 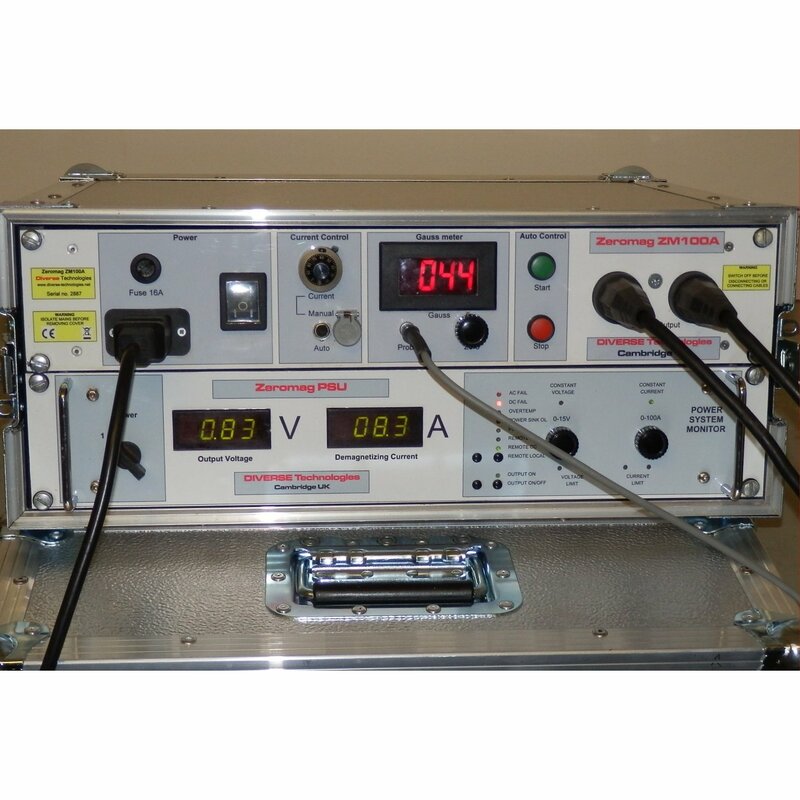 The meter is microprocessor controlled and uses a membrane key pad and a digital display which makes it simple to operate but at the same time offers the ability to do complex measurements. A wide range of settings, measurement modes and units can be set by the user through the menu driven user interface. 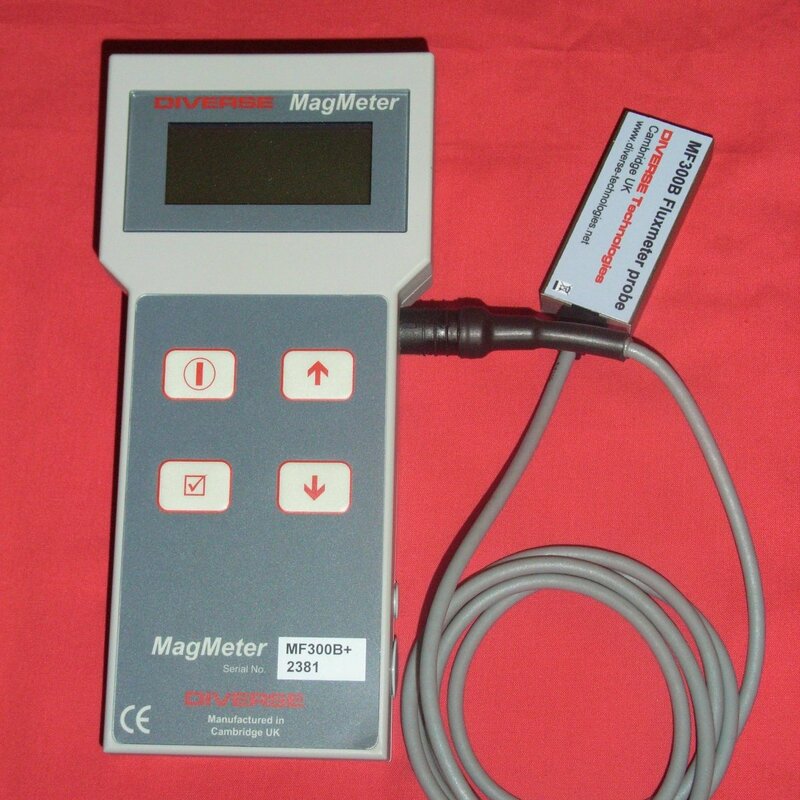 The operating modes allow magnetic measurements in most industrial and laboratory applications. Auto zero can be requested at any time by the press of a single key. Measurements of magnetic fields together with the selected units and a linear progress bar scale are displayed on the instrument. Operating modes are average, absolute peak, bipolar peak and true RMS. 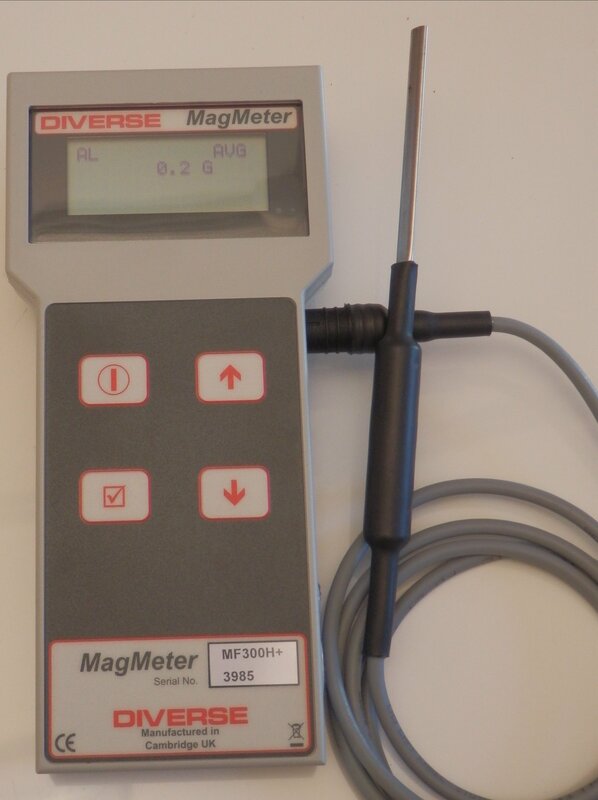 There is a built-in data logger that can collect 100 samples in the chosen measurement mode and at a selectable rate. The results can be viewed on screen or optionally downloaded via the serial RS232/USB interface. 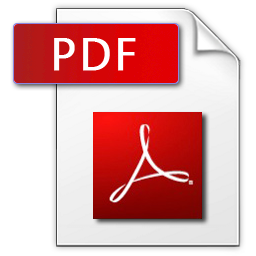 Software for use with the meter is provided with the serial option which enables data to be saved and entered in spreadsheets. 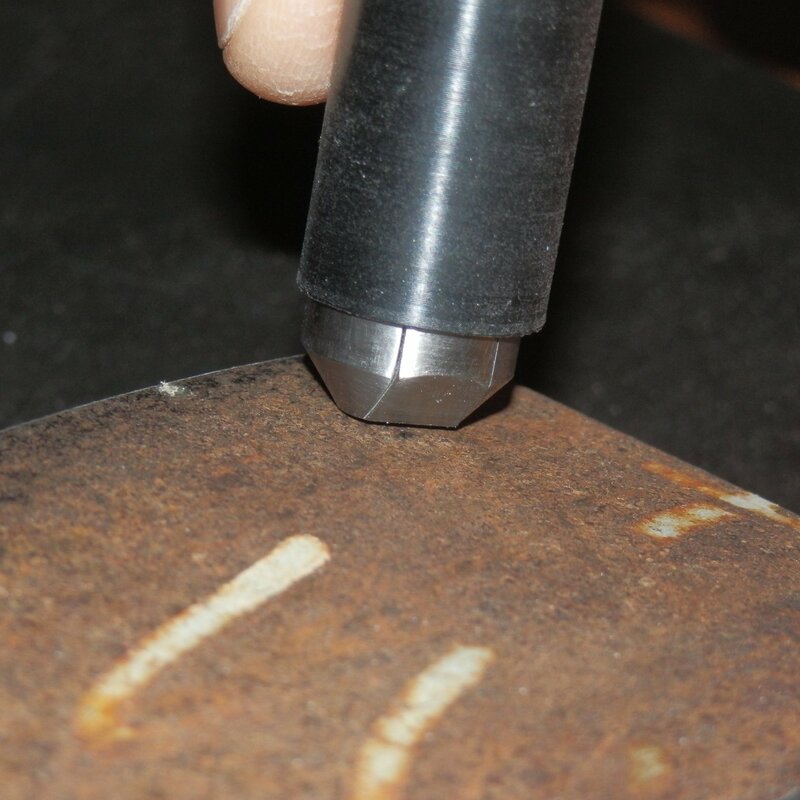 Magnetic test bench mode which provide a simple go no-go indicator for setting up for magnetic particle inspection. By inputting the distance for a high current conductor to the probe the instrument can provide a direct reading of the current. Currents need to be in excess of 1000A.